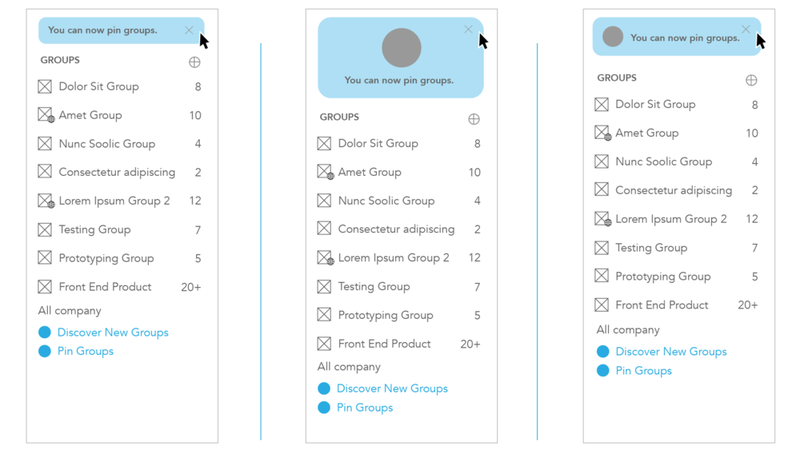 When there is unused space in the group list, there is opportunity to add user education or user delight illustrations. The logic begins to complicate when we attempt to combine the ability to drag and drop to reorder groups, with the ordering algorithm. For example, if a user reorders a group to be in the middle of the list, how would we decide which groups to reorder algorithmically? 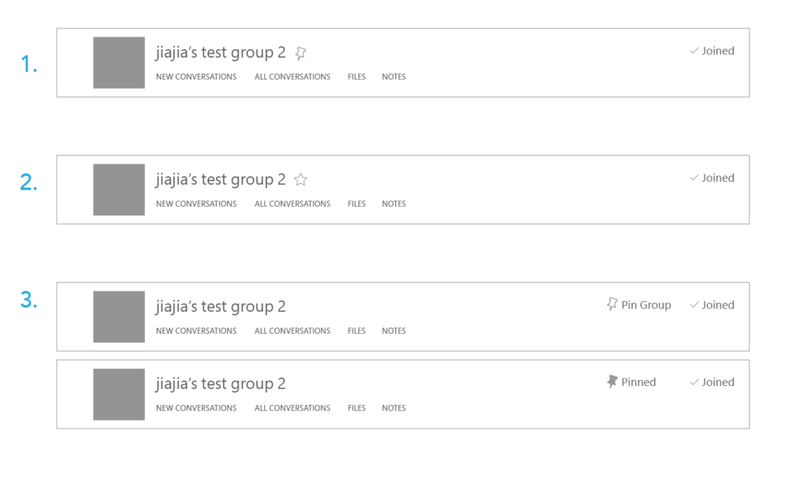 According to qualitative user research, users also expected the functionality of pinning a group to also be available in the group header. 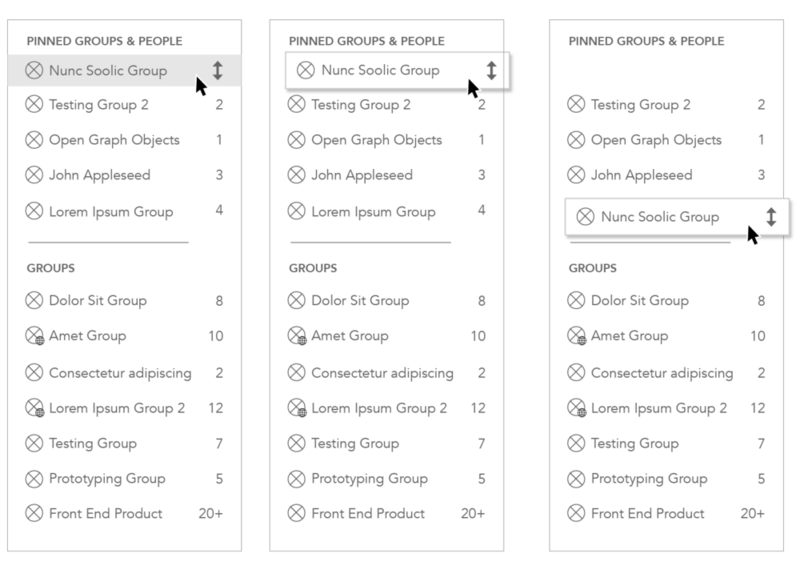 This wireframe is exploring pinning the group on hover in the left nav. 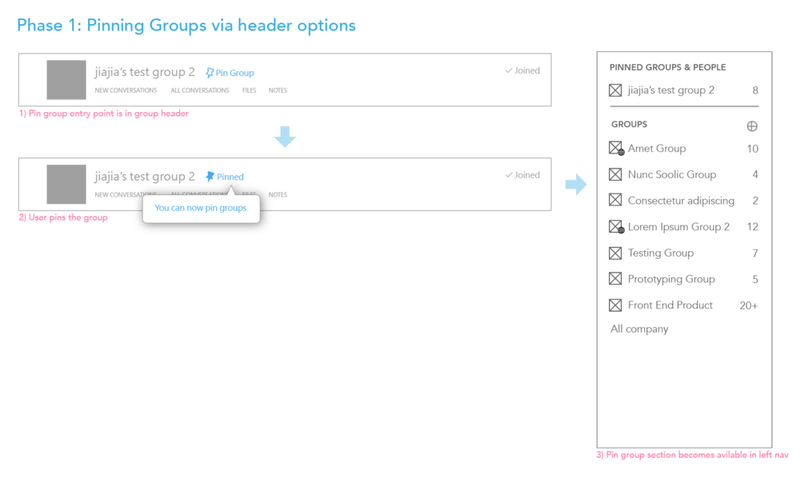 What if users could pin groups and then reorder them? This would eliminate the confusion and complexity of mixing the manual reordering approach with our algorithm. How will users discover this feature?